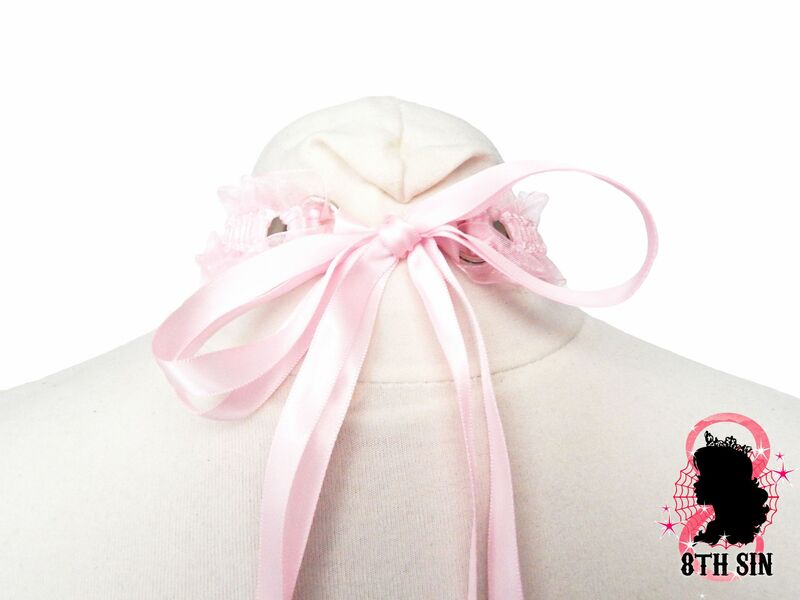 This is a pink ruffled choker featuring a pink ribbon bow and silver bell. The ruffled trim is elasticated and stretches to any neck size. The pink lacy bell collar ties at the back with satin ribbons. Made with elasticated lace trim, alloy bell, satin ribbon and stainless steel plated findings. The choker is adjustable to fit a variety of neck sizes and ties at the back with satin ribbons. It can also be used as a leg garter. We also accept custom sizes and designs. Please leave your neck measurement in the 'Note to seller' part of checkout for a custom size, and contact us before purchasing for customisation.